In this guest blog ahead of the International Day of Women and Girls in Science, Dr. Wanjiru Kamau-Rutenberg, Director of AWARD, shares the impact that empowering female scientists in Africa can have on the challenges that farmers on the continent face. At the age of 12 Fetien Abay Abera was engaged to be married to a 36-year-old man. Her mother intervened and she was able to complete her high school education in rural Northern Ethiopia. The first female lecturer at her university and now the Deputy Vice-Chancellor and Professor of Plant Breeding and Seed at Mekelle University in Ethiopia, Professor Fetien Abay Abera connects the dots between early childhood marriage, climate change, and agricultural productivity. Her research is helping to strengthen Ethiopian farming families’ ability to cope with drought. Professor Abera is one of 1,158 agricultural research scientists who have been part of a fellowship program run by African Women in Agricultural Research and Development (AWARD). AWARD is working toward inclusive, agriculture-driven prosperity for the African continent by strengthening the production and dissemination of more gender-responsive agricultural research and innovation. Recognizing that the underrepresentation of African women in agricultural research represents a tremendous missed opportunity for the continent, AWARD offers a two-year career development fellowship aimed at strengthening the science, leadership, and mentoring skills of African women agricultural scientists. Through the AWARD Fellowship, we are fixing the leaky pipeline of women in agricultural research by cultivating a growing pool of African women scientists who are equipped and eager to use cutting-edge research to solve the challenges facing African farmers. For Professor Abera, the AWARD Fellowship experience allowed her to grow her confidence and clarify her career goals. She now leads major projects developing sustainable drought-resistant crop varieties that respond to the needs of farmers in Northern Ethiopia. She makes intentional efforts to understand farmers’ needs and priorities and is a leading advocate of participatory agricultural research and development who recently emerged the second runner-up at the prestigious Impact Research and Science in Africa (IMPRESSA) Awards. The lives and careers of women like Professor Abera and other AWARD fellows speak to the wealth of under-recognized female talent in Africa’s agricultural research sector. Still, we recognize that building a pipeline of capable, confident, and influential African women scientists is necessary but not sufficient to attain inclusive agriculture-driven prosperity for the continent. This is why AWARD is now expanding our mandate to include investing in strengthening the institutions within which AWARD Fellows and their colleagues work and innovate. As articulated in our 2017-2022 strategic plan, we are committed to helping build a gender-responsive agricultural innovation system that is working toward agriculture-driven prosperity for Africa. We define gender-responsive agricultural research as research that addresses the needs and priorities of a diversity of both men and women across the entire agricultural value chain. Implementing our new strategy means that, beyond the AWARD Fellowships, moving forward, we will also support agricultural research institutions as they work to prioritize and embrace gender responsiveness in both policy and practice. Further, appreciating that researchers and institutions are embedded within a broader enabling environment, we are also working to see gender responsiveness as a norm across the culture and practice of agricultural research on the African continent. In many attempts to “mainstream” gender into institutions, gender issues are often treated in isolation rather than as a vital component of the agricultural research process. We believe that these efforts must not remain simply procedural; rather, they should help to redefine the objectives and purpose of agricultural research itself. We have already begun building exciting partnerships with institutions that believe that gender equity should be fully integrated into supporting the overarching mandate of a research institution, including the development of research questions and methodologies. Once produced, gender-responsive research should not just remain on the shelf, but rather be disseminated to drive real change on the ground. 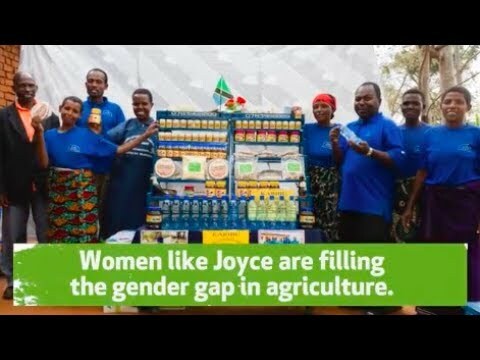 We believe that agribusinesses can play a critical role in scaling up and promoting agricultural innovations that have the potential to help bridge the gender gap in African agriculture. 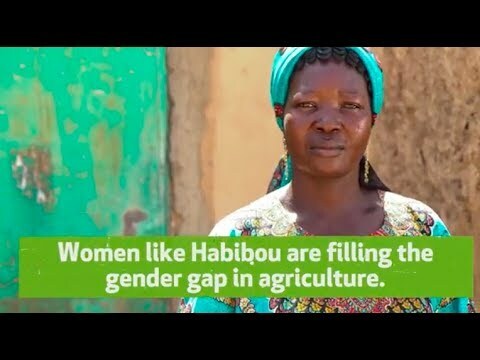 Through a call for applications, intensive boot camp, and an ag-tech solutions marketplace that connects innovators with peers and potential investors, our latest initiative, Gender in Agribusiness Investments for Africa (GAIA) ensures the visibility, commercialization, and scaling up of gender-responsive agricultural innovations. Our deepest desire is that these initiatives to invest in strengthening the gender responsiveness of Africa’s agricultural research scientists, the institutions where they innovate, and the agribusinesses that disperse these innovations will lead to more inclusive agriculture-driven prosperity for the continent. If together with our partners we are successful, then we will be closer to a reality where farming families across the continent are more food secure, and agriculture is a means for them to support their children’s education rather than a reason to seek to marry off their young daughters.